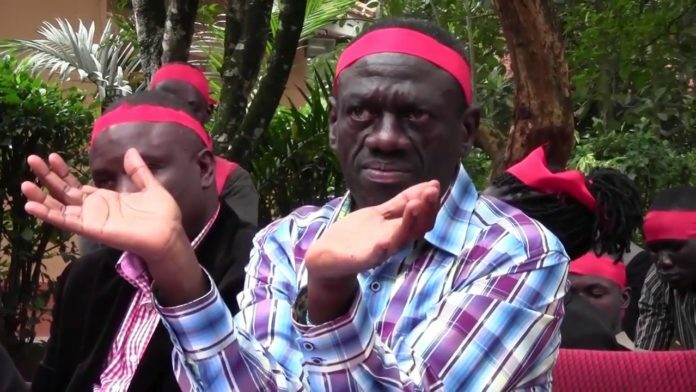 Ugandans opposition icon, Dr Kiza Besigye says the torture that MPs Bobi Wine, Kasiano Wadri and others have recently gone through is very good if it can wake Ugandans up against President Museveni. Besigye was talking to the media outside Gulu High Court shortly after the MPs were granted bail. “I think these challenges that we are going through will serve as a lesson go all of us that this is the time not to bicker around, not to ask who is who but to unite the country to regain power in our country. The immediate focus must be on helping in whatever way possible to get these people regain their health. And soon as they regain their health, the country should unite to ensure that Museveni must go,” he said. But Besigye warned that should each opposition leader be selfish and want to be the ones to be fronted for presodency then they might lose it to NRM. “I have made it very clear to those who have been saying that Besigye is maybe a problem that I will never allow myself to be a problem. And I have absolutely made it very clear myself that the challenge of the country today is not about choosing a leader. It is about regaining the control of our country,” he said. Bobi Wine and his 12 co-accused colleagues who have been granted bail by Justice Stephen Mubiru are facing treason charges. By 1:38pm when this story was filed, the accused persons were still at the court premises signing the bail forms. Two stand-by ambulances from IHK and Parliament that are expected to transport the suspects- who were tortured in detention- to receive specialised treatment were also in the parking of court. Wadri is, however, not allowed to go to Arua Municipality in the next 90 days, unless cleared by court, according to Justice Mubiru. Outside court, dozens of people were celebrating.